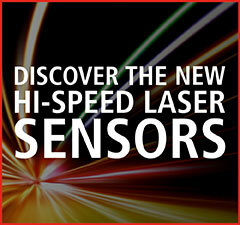 the first of a brand new generation of high speed laser sensors. The new technology, entirely developed by Laserpoint, combines response speed up to 50 times faster than standard, wide power and wavelength range measurement capability for unprecedented performances. 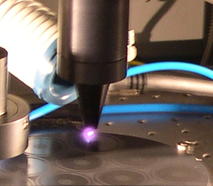 Politecnico di Milano, Italy IPG, Alio and Laserpoint have collaborated on the design of a test bench of laser micromachining installed at Sitec laboratory, equipped with Alio stages with submicron precision at high speed (> 500 mm / s). This system is equipped with state of the art IPG lasers (quasi-CW and pulsed short pulse at 532 nm). The video is downloadable from the YOUVIDEO site section. Refractive microlenses cover a range of 10 µm to 2 mm lens diameters Refractive microlenses are an interesting alternative for all applications where miniaturization and reduction of alignment and packaging costs are necessary. A refractive microlens refracts the incident light according to Snell's law, similar as large-scale glass lenses do. Refractive microlenses are manufactured in Fused Silica or Silicon or plastic materials, the later case being interesting for anticounterfeit techniques. We have realized the master for high productivity moulding of microlens arrays, targeting drug industry, with sizes down to 30 microns diameter. ALIO Industries’ Z-Lift motion platforms were created to replace the inaccuracies of the ever present Z-Wedge vertical stages as well as reduce the footprint and improve performance of linear stages mounted in the vertical orientation. Every component in a motion stage adds to the total error. Since Z-wedges have a minimum of three machined components with complex angles, three sets of bearings, a motor via a coupling and an encoder, the result is a very inaccurate stage. ALIO answers this with a family of very high accuracy, high repeatable vertical stages.